On a sad, shocking, but riveting episode of After Hours AM/The Criminal Code — True Crime Wednesdays 9-11pE with hosts Joel Sturgis, Eric Olsen, and resident expert, forensic psychologist Dr. Clarissa Cole — Dr. Cole leads us through an examination of the shocking murder/suicide of celebrity paranormal investigators Mark And Debby Constantino. We dig into the Constantino case at 10pE; at 9pE, we review the week’s most notable True Crime headlines. The events of September 22, 2015 left an tragic hole in the paranormal community when celebrity ghost hunters and EVP specialists Mark and Debby Constantino were sucked into a vortex of shocking violence that left them both dead of gunshot wounds, along with an apparently innocent third party. The Constantinos were known for their acerbic, sometimes cutting public banter with each other, but everyone thought it was part of the act. In retrospect, it was most certainly not. Regarding the Constantino’s public interactions, check out this interview I conducted with them in 2013 for some poignant foreshadowing of what was to come. Everything looks obvious in retrospect. Our secret weapon, forensic psychologist Dr. Clarissa Cole, examines the events of that fateful day and the steps along the way in a case that touches upon domestic violence, the trap of public personas, the psychology of family annihilation, and even possible spirit oppression. 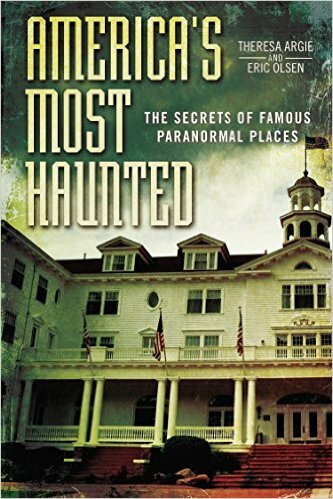 To those conversant with the paranormal world, Mark and Debby Constantino had become household names by 2012 from their appearances on the hit show, “Ghost Adventures” on the Travel Channel. The married couple were reportedly experts in something called “Electronic Voice Phenomena” (EVP), which is, essentially, ghosts speaking through an electronic medium. The Constantinos would bring their “spirit box” (a device that cycles through available radio frequencies very quickly) and attempt to contact the deceased in front of the cameras. And, a great many times, it appeared to work. But what paranormal fans didn’t know was that the Constantinos had just as much excitement happening off screen as they did on screen. On July of 2012, Debby Constantino was arrested for domestic violence. In the incident, she allegedly scratched Mark, and cut him with a knife during an argument. Mark called police, she was arrested, and Mark filed for a temporary restraining order (TPO). Although Mark rescinded the TPO the following day, the arrest for domestic violence remained on Debby’s record. In the early summer of 2015, Mark filed for another TPO against Debby, claiming that she tried to stab him. Then, on August 7th of 2015, Debby detailed an incident for police in which she alleged that the Constantino’s daughter, Raquel, dragged her friend out of Debby’s vehicle and began beating her. Then, Mark dragged Debby from the car to the house and held her, beating and choking her, until Debby’s friend was able to call for help. By August 10th, Debby had filed a TPO against her husband Mark, and their daughter, Raquel. Mark Constantino faced charges of domestic battery and kidnapping, among others. At the end of September, both Mark and Debby Constantino were dead. 11:00am – By pinging Debby’s cellphone, the police tracked her down to an apartment across town. It was an apartment rented to the Constantino’s daughter, and Mark Constantino (estranged from Debby) was staying there at the time. 11:15am Officers knocked on the apartment door and shots immediately rang out. The door was barricaded and Mark yelled from inside that he had Debby and wanted “15 minutes or [he’d] kill her.” Negotiations between Mark and the officers commenced. Click over to Dr. Cole’s The Criminal Code website for the rest of the stunning story and her analysis, and be sure to listen to the show! I knew something happened with Mark and Debby that ended up as a murder/suicide. It’s a shame but I really think it had to do with all the paranormal investigations they went on. They couldn’t handle it. I didn’t know all these details like how Debby was abusive to Mark. Whether or not you believe in the paranormal it sounds like this couple had a demon or dark entity that attached themselves to them.